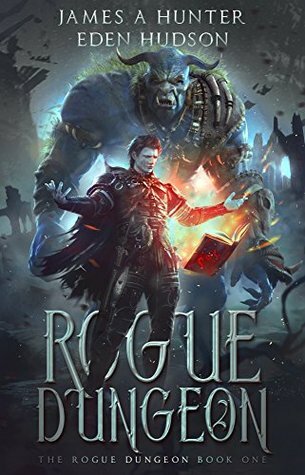 Publisher’s Description: Roark von Graf—hedge mage and lesser noble of Traisbin—is one of only a handful of Freedom fighters left, and he knows the Resistance’s days are numbered. Unless they do something drastic…But when a daring plan to unseat the Tyrant King goes awry, Roark finds himself on the run through an inter-dimensional portal, which strands him in a very unexpected location: an ultra-immersive fantasy video game called Hearthworld. He can’t log out, his magic is on the fritz, and worst of all, he’s not even human. Review: Ok, this was really good in that there was great movement set in a real interesting world. The entertainment value is really high and I am already begging the author(s) to send me the next in the series. So why does it work so well? I think the authors really complimented each other. Take Eden Hudson’s wild and creative imagination (that sometimes gets a little carried away) and add Hunter’s restraint and cogent process and you get novel gold. Just too fun to put down. GET THIS! Sounds very good!! Great run down.